IT SEEMS Rodger Corser loves a role he can sink his teeth into. Playing a dentist on Puberty Blues, we found out he not only has an extensive acting career but also a rich motoring past. A 1972, canary yellow, Mazda Capella, automatic. Originally my grandmother's, unfortunately she didn't get the rotary. From memory it was 1.6-litre, four-cylinder. Got me through uni and could even fit my guitar amp in the boot. Ended up at the wreckers after a bingle...not my fault of course. I'm driving a Hyundai Sante Fe Highlander, diesel. Great mileage with the diesel and it's perfect size for the family and even a niece or nephew or two when you fold up the sixth and seventh seats. Dad got a car with work so he'd change them every three or four years. The earliest car I can remember was a green HZ 5.0-litre Premier, then a silver XD Fairmont Ghia, which was only the 4.1-litre. Mum thought there was something wrong with it when she first drove it up a hill, until dad explained that six cylinders don't go like eight. Then mum got a blue 250ci XB Falcon 500 with a front bench seat, before inheriting the XD. Dad then had a couple of XF Fairmont Ghias, a white one and a maroon one, which was nicked off the front lawn and found later at a nearby train station (they'd taken the Ghia mags and replace them with 12 slotters, idiots!). Then in the '90s he had a white EF Falcon, which mum still drives now. I think it's about time I upgraded them to a Hyundai. Morning and evening peak hour, I try to avoid them at all costs. That's the great thing about the early starts in my industry, it's a cruisy ride at 6am. Probably the music of Justine Clarke, we have all her albums. It's the only kids music we've found that won't send parents batty after multiple (and I mean multiple) plays. My wife Renae and I drove from Rome to Venice via Florence and the Cinque Terre, on our honeymoon. Without a map! Way to test a new marriage, hey? But it was pretty amazing, I'd love to do it again, with her and the kids. Why would you go with some famous person that's a stranger? I had an old 1966 XR Falcon, before my youngest two children were born, and I fell in love with that model, not the XP, not the XY but the XR. I'd love a gold GT one day, I wonder if I could get that one past the boss? 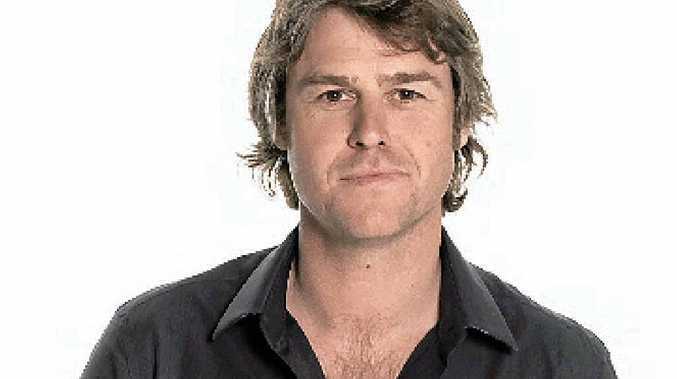 Rodger Corser is a Hyundai ambassador. Resume: He is best known for his portrayal of Detective Senior Sergeant Steve Owen in the crime mini-series Underbelly, but is also a talented singer and has featured in several musicals, along with film and television series over the years. See him: As Ferris Hennessy in Puberty Blues, Wednesdays, 7.30pm on Channel 10.